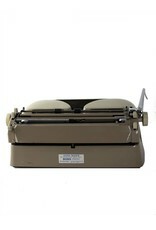 beautifully refurbished triumph gabriele 35 vintage typewriter with hard aluminum case. the European keyboard includes french diacritical marks. notes: fresh oil and lube along with original spools. 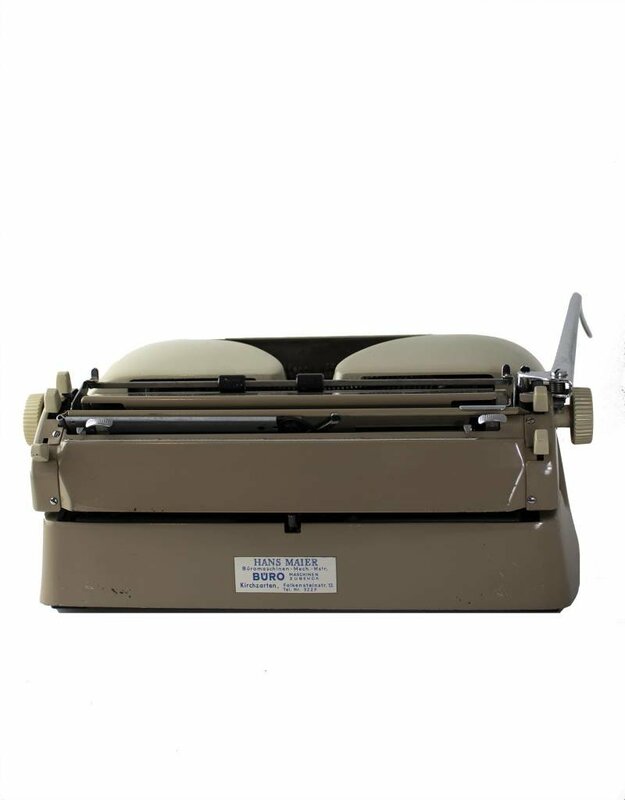 all typewriters for sale have been cleaned, oiled and are mechanically sound, having been repaired here at our place of business or professionally restored at ace typewriter. Two Germans, Siegfried Bettmann and M. Schulte, founded in 1890th “ Triumph Cycle Company Ltd” in England. In 1896 they decided to establish a subsidiary “Triumph-Fahrrad-Werke AG” in Nürnberg. The production of bicycles expanded rapidly and was marketed to other European countries. In 1903 a motorcycle was introduced. Profits increased and the future of the company looked good. 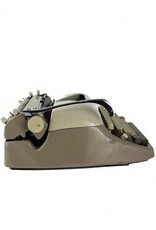 In 1907 the Hamburg based company “ Ehrlich & Riegelmann” introduced its typewriter Noriga. In 1909 “Deutsche Triumph-Fahrrad-Werke” took over the bankrupt company and its patent for the Noriga typewriter. The same year the typewriter was introduced with its new name Triumph. In 1911 the company was renamed “Triumph Werke Nürnberg AG”. During World War I production of typewriters was laid down. In 1920 Triumph Werke started making typewriters again with the prewar model 2. 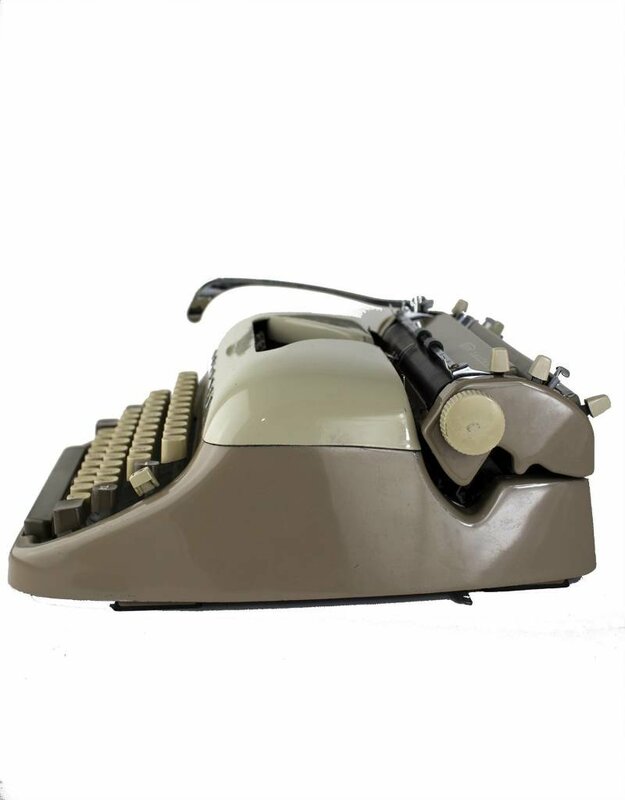 The typewriters were continuously improved. During World War II production of typewriters ceased as arms production was started. 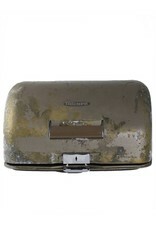 In 1950 a new model “Matura” was introduced. In 1957 the popular Gabriele portable typewriter and an electric typewriter were introduced. 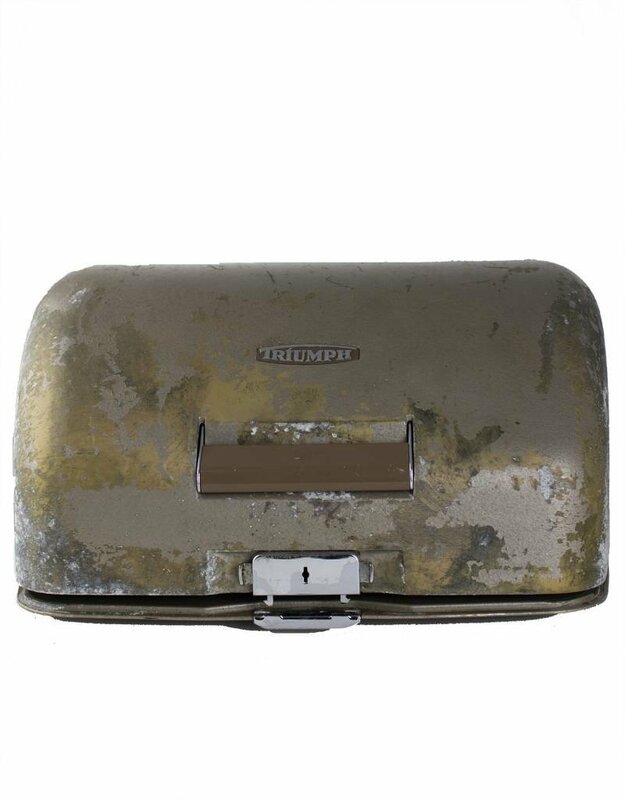 In 1953 Triumph is overtaken by Grundig, merged with Adlerwerke and renamed Triumph-Adler. In 1979 the company is acquired by Volkswagen and in 1986 by the Italian Olivetti. 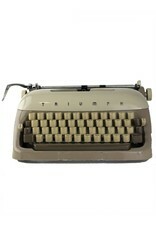 Typewriter production was closed down in 1997.